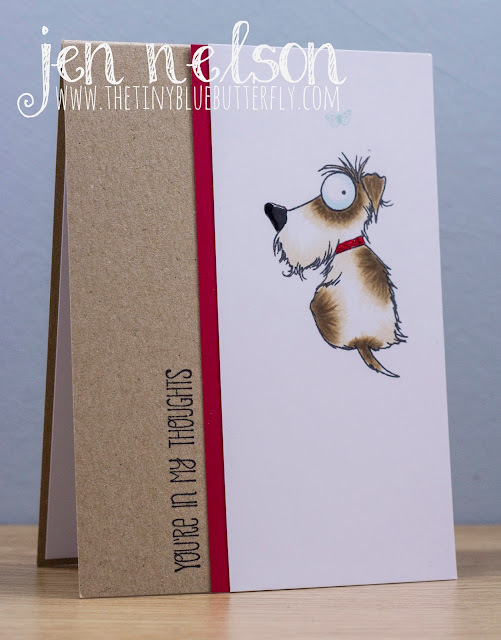 Morning.. Today's card uses a cute little doggy from an Hobby Arts set I borrowed from my friend! I was trying to practice my Copic fur skills and love how the little guy turned out! My new years resolution will def be to record what supplies i use on my cards... even if I dont back back to a linky tool at least I can let you know!